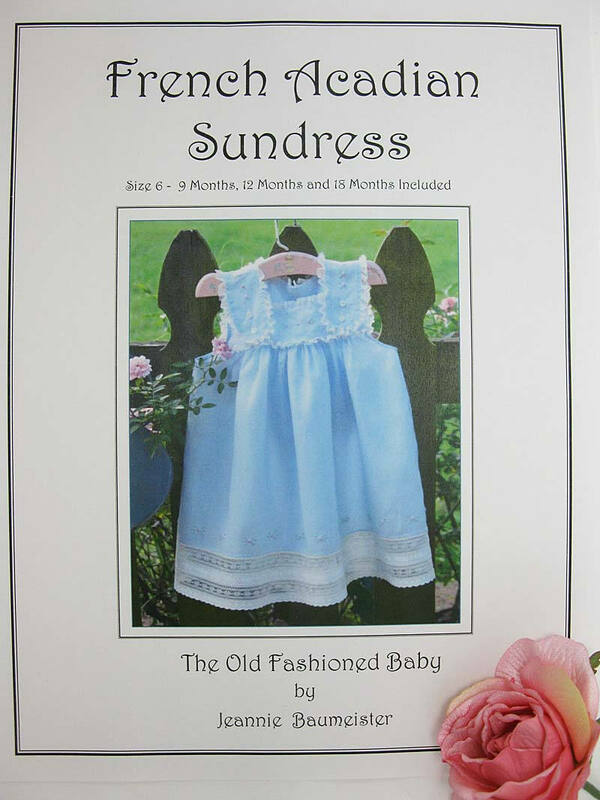 The French Acadian Sundress has been fashioned after a style similar to those sold in the New Orleans Baby shops and hand made by Louisiana women all over the state in years gone by. It's a sweet classic that was a summer staple in South Louisiana for generations. It features a one piece back yoke that includes the straps that button in the front. Just like the original!! 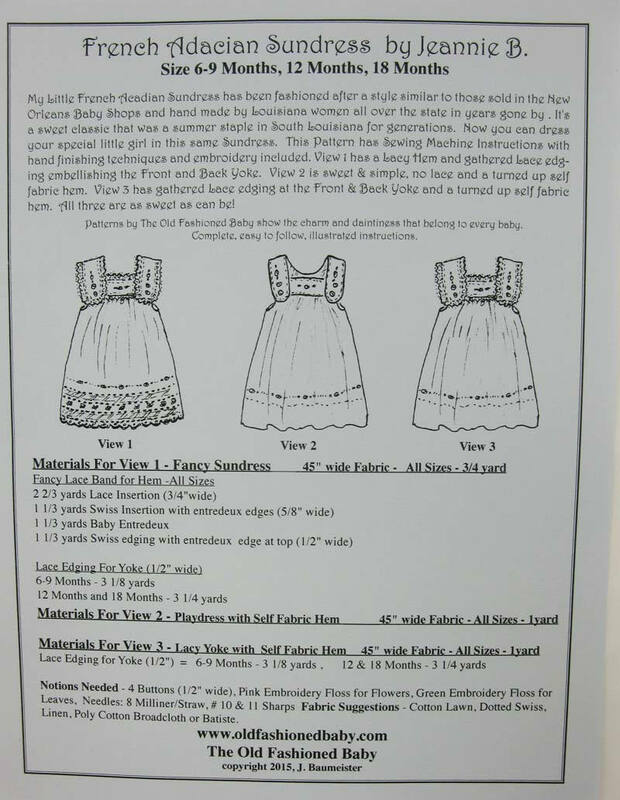 The pattern comes with a Fancy View and a Playdress View. The Fancy Sundress (pictured) has a Fancyband Hem with Lace edging around the Front and Back Yoke/Straps. The Playdress View has a hemmed skirt and optional lace at the Yoke. This is the sweetest Sundress EVER!! Size:6-18 Months included in this pattern. Listing is for the pattern only.